Since the election of President Trump, my business with Mexican clients has been off the charts. There is a lot of concern south of the border that their economy will continue to tank. It's not just the Mexicans themselves who are concerned, but the global investors are abandoning them as a bad bet. 80% of Mexican exports end up in the United States, and with President Trump's promise to repudiate NAFTA and renegotiate trade (tariffs will help pay for the wall). (Wall Street Journal) Global investors are fleeing Mexico’s financial markets, sending the peso to record lows on mounting concerns that Donald Trump’s trade policy could end the country’s privileged status among developing countries. The Mexican currency weakened 0.3%—at 21.8609 from 21.8009 late Tuesday—again frustrating Mexican central-bank efforts to slow the currency’s decline. Bank officials said Tuesday that they spent $2 billion last week to prop up the peso, which has weakened 16% against the dollar since the U.S. election. Fiat-Chrysler and Ford are early departures from Mexico to the US but there will be many more as US companies find it disadvantageous to manufacture there and ship the finished products to the US. The narcos have a mixed take on the situation. They hoard US currency, so their dollars will be worth more in a down-turning Mexican economy and as people begin to look for work, they can reduce the cost of their domestic overhead. The move from marijuana cultivation to opium poppies has been wildly successful and the US narcotics market has embraced heroin. Mexican drug cartels feel that while a border wall may slow their business enterprise, it will not stop it. 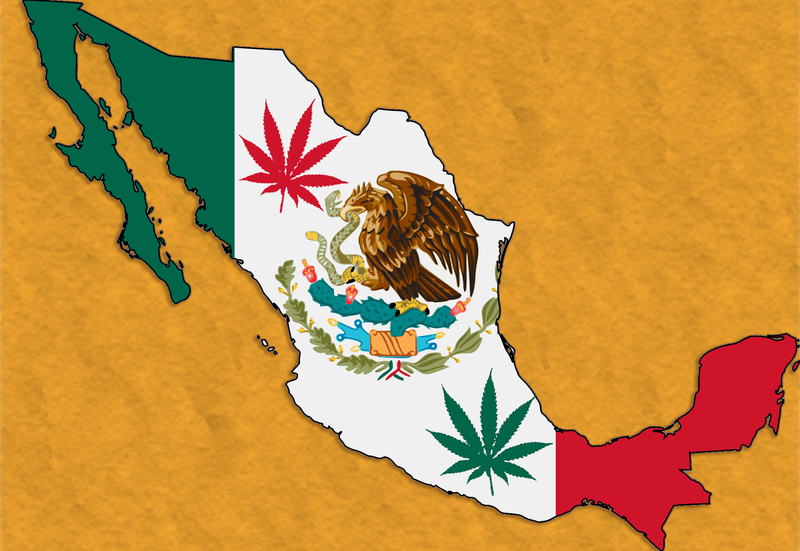 The shift to heroin from the bulkier Mexican weed (because of American legalization) has worked. Cartels have also gone into the medical marijuana market where it is legal in the US putting straw men up front as the face of the store. So they see a way forward no matter what the US does. At present, American law enforcement efforts manage to interdict about 5% of the drugs that come across the border. Cocaine was more expensive than home brewed methamphetemine or marijuana because the manufacture overhead went back to Colombia. With heroin, the cost of growing and refining domestically is next to nothing, so seizures of even 25% of the traffic crossing the border would still assure the cartels of a healthy profit. The narcotics business and money sent south to family by illegal aliens (3 million people send money south every week) who are selling drugs or working legitimately in the US accounts for a huge amount of Mexico's wealth. The one-two punch of reducing the money coming south and adding tariffs would cause the economy to rely even more on illegal narcotics, the third leg of the Mexican economic tripod. 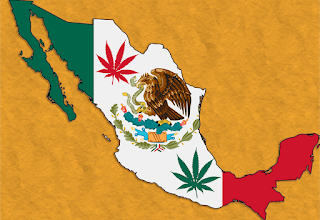 Almost 30% of Mexico's gross domestic product comes from legal trade with the U.S. When you add in illegal narcotics income and money sent from the US to relatives in Mexico, you're up in the 50% range. Fitch Ratings in early December cut its rating outlook on Mexico’s long-term debt to negative from stable, a sign that currency depreciation resulting from Mr. Trump’s victory had increased uncertainty to the point that it could hurt Mexico’s public finances. “No one is willing to stick their neck out and take a shot on Mexican assets right now,” said Win Thin, an emerging-markets strategist at Brown Brothers Harriman & Co.
Large companies are holding off making investment decisions when it comes to Mexico primary because of the election of President Trump. The Mexican government has warned President Trump that a weaker peso would spur more illegal immigration as the economy falters. President Trump replied, "That's why we're building that big, beautiful wall." For at least a century, both legal and more importantly, illegal immigration, provided a safety valve for Mexico. The angry malcontents left Mexico and worked (illegally) in the US, rather than fight the corrupt government at home. The options left to the Mexican government are not appealing. Well of course CNN broadcasts fake news. Anything to discredit the president. It was CNN that leaked the debate questions to Hillary Clinton. They are an advocacy agent of influence for the Democrat Party and the corrupt progressive elitist establishment. My sense is that's true. I don't care about his tax returns. If the progs do, good for them. They can continue to pester him - and maybe he won't call on them during the next press conference. That's ok with me too. I'm tired of the corrupt, elite, mainstream media writing garbage. There has been a cause and effect to China's mischief and their lack of constraint toward their North Korean client state. 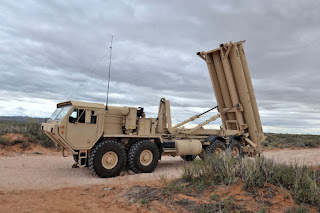 China really hates THAAD. Japanese Defense Minister Tomomi Inada said on 10 January that she will visit Andersen Air Force Base on Guam to inspect the Terminal High Altitude Area Defense (THAAD) system based there. Minister Inada told a press conference that "The Defense Ministry has no concrete plan to introduce THAAD at this stage, but the installation of this kind of new asset can be one of the measures to reinforce our missile defense capabilities." Inada said North Korea's nuclear and missile programs pose "a new level of threat" and that the Defense Ministry is considering ways to strengthen Japan's own ballistic missile defense system. Inada will arrive in Guam tomorrow for a two-day visit. 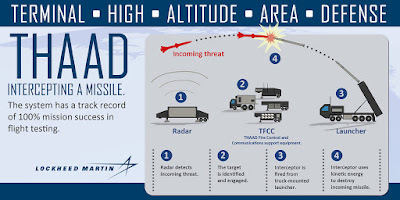 Japan already possesses Patriot Advanced Capability-3 (PAC-3) systems, but THAAD offers the possibility of earlier detection and destruction of ballistic missiles from North Korea (or China). 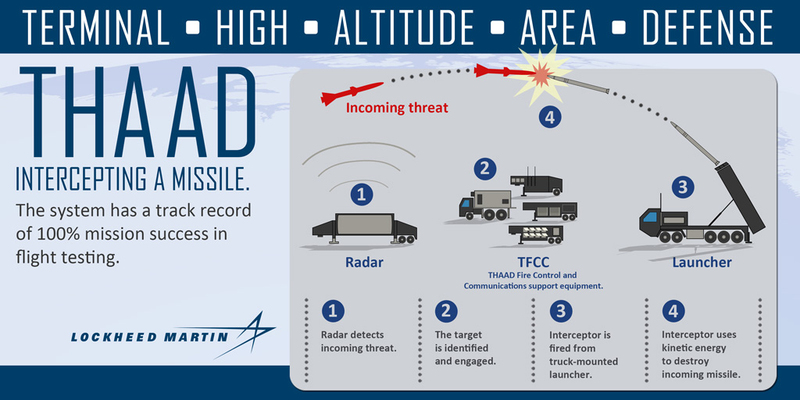 The Chinese are vigorously opposed to THAAD deployments in Asia that reduce the threat effects of Chinese ballistic missiles. South Korea’s decision to build a THAAD installation to guard against North Korean missiles is now an obstacle to security cooperation between China and South Korea. A THAAD base in Japan would have the same effect. One in Taiwan probably would be considered an act of war by the communist leaders in Beijing. China continues to urge the “relevant parties” to refrain from taking provocative or destabilizing acts. However, North Korea is the agent of instability and revels in the attention it commands. North Korean saber rattling about missiles and nuclear weapons is the proximate cause of decisions by South Korea and Japan to search for improved missile defense. The Chinese have had the capability to prevent this weapons spiral and have not seen fit to do anything about it. Operation Golden Arrow III began on 7 January when Emirati and Yemeni troops began moving to capture Dhubab. The Saudi-led coalition said it has committed five brigades of soldiers to the operation. The objective is to secure Yemen’s western coast along the Red Sea to block arms deliveries to the Houthis and their allies. Situation reports indicate that Coalition soldiers have sustained significant losses, including the destruction of 15 armored vehicles. In Yemen, the name “Golden Arrow” signifies an Emirati operation with support from Emirati-trained Yemen soldiers. Extensive air attacks in December preceded the ground offensive, but they seem to have done little to weaken Houthi resistance or resolve. Minefields are causing significant losses to the advancing Emirati and allied fighters. The Coalition’s ultimate objective should be the port city of Hudaydah, which is the gateway to the Houthi-controlled area in the north, including Sana’a. The Coalition ground forces will do well to capture Dhubab. Hudaydah is 143 miles farther north and has stronger defenses. For the Emirati’s, capture of Dhubab would simplify their deployments and logistics operations from their base in Assab. Emirati troops would control both banks of the Bab el Mandeb which would improve prospects for halting arms shipments from Iran to the Houthi-held ports. Emirati support from Assab enabled Yemeni forces to capture Aden in August 2015 in an earlier version of Operation Golden Arrow. Open source outlets have reported that satellite imagery on 28 December 2016 detected the presence of support vehicles for the Iskandar short-range, nuclear-capable ballistic missile system at the Hmeimim air base south of Latakia. The latest imagery tends to confirm earlier reports about an Iskandar ballistic missile deployment to Syria. The first report that Russia deployed the Iskandar system to Syria was based on a Russian TV video released in March 2016, which showed ground-based imagery of a transporter-erector-launcher for the Iskandar missile. This missile has a range of just over 300 miles, which puts US forces at Turkey’s Incirlik Air Force Base in range. The straight-line distance between the two points is just over 100 miles. When Russian General Gerasimov announced a drawdown of forces, he said nothing about a reduction in capabilities or support. He also said nothing about Russian forces leaving Syria. Looking forward to 2017 and Beyond! Business is booming, Barack is (still) making his farewell tour, but there's a lot of light in the tunnel and President Trump has already begun to make America great again. The big repeal of Barack's executive orders and the repudiation of the Obama 'legacy', such as it is, provides a cause for America to celebrate. I was invited out to a bow hunt (deer) this past week up in the White Mountains near Alpine, AZ, but I had to decline to to scheduling issues. However, that will soon change. Based on reliable if informal information, there are about half a dozen jaguars in the Mogollon region. It's now my job to document them with my GoPro camera. Soon, I can occupy myself in that way. I won't have to spend much effort on keeping (myself or y'all) up to date with what's happening around the world.